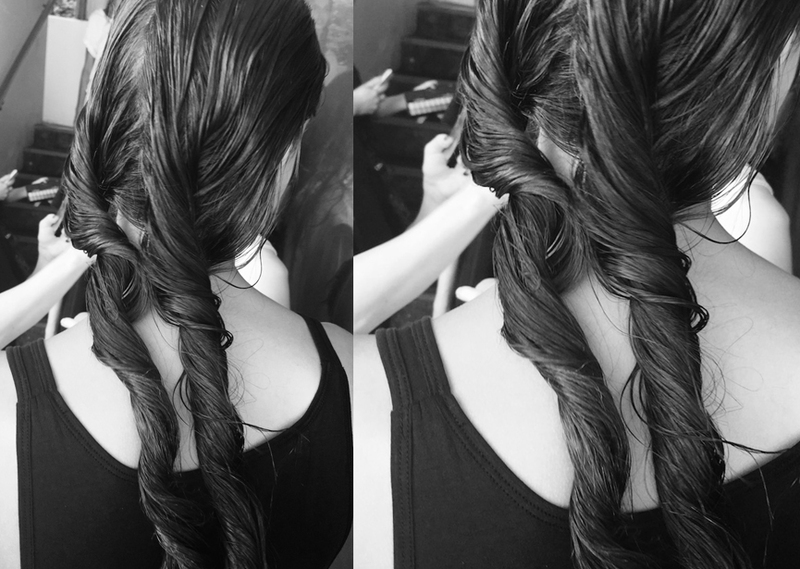 Summer embodied: How To create Renya Xydis’ Ocean Waved Tresses as seen at Ten Pieces’ SS15 show. Start with clean, dry hair and create a textured base by waving random sections of hair with a Cloud Nine Wand. Brush through your hair and break up any perfect curls with an EVO Bradford Pin Bristle Brush. Saturate the hair with oil. 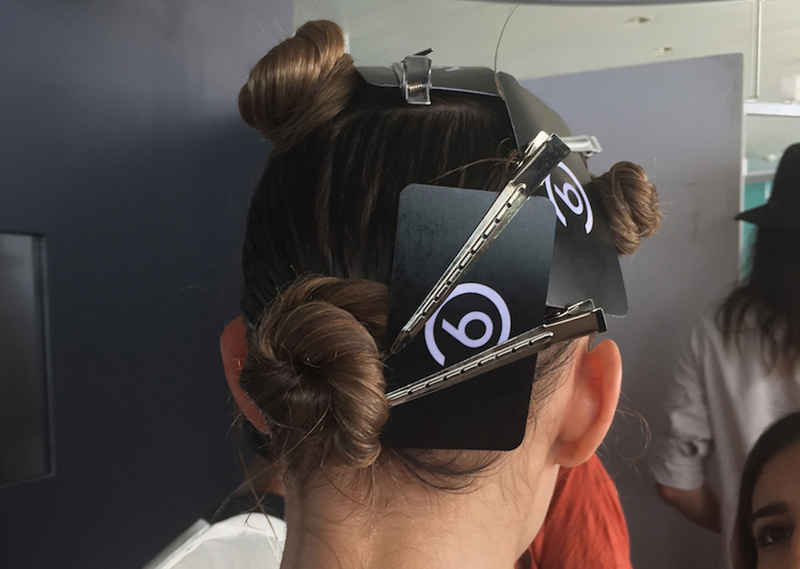 Gather all of the hair together, twist and pin and leave it to set. After a couple of minutes, free the hair from the twists. 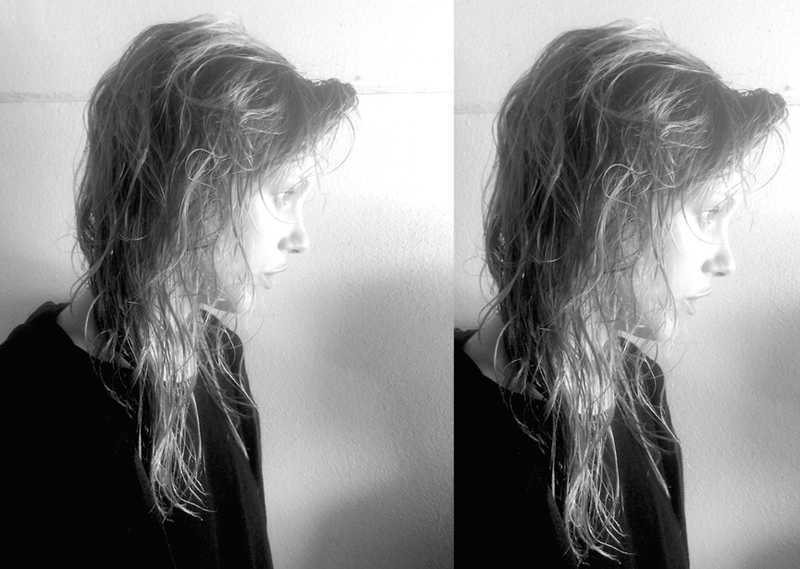 Using your fingers, break up the waves, letting the hair fall naturally around your shoulders. Using your fingers again, start at the front hairline and comb the hair backward, up and off the face. The intention of this style is to be really organic and easy. You want it to look like you just walked out of the ocean. 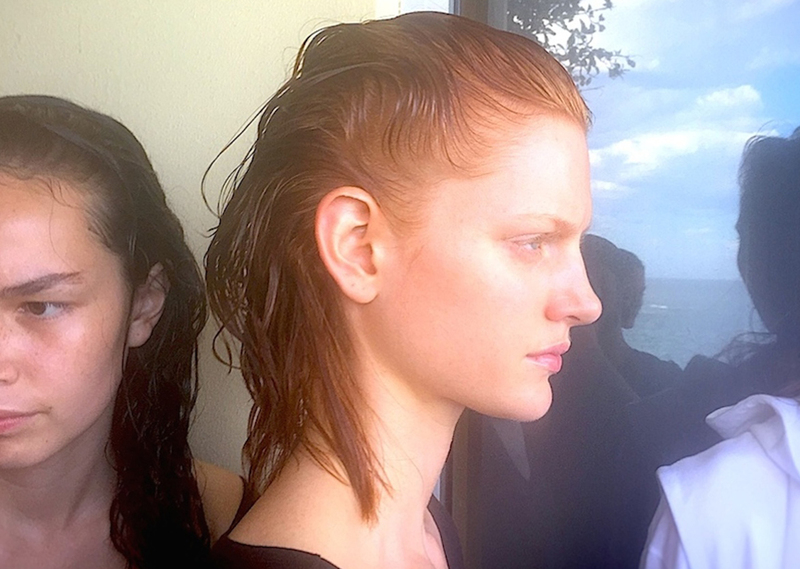 Recreate The Ocean Waves Tresses of Ten Pieces's SS15 show.